A navigational or deck officer has to be extremely careful while steering a vessel from its course no matter where the ship is – at mid sea, crossing channel, or entering/ leaving a port. The team at the bridge should be efficient enough to sail the ship in all kinds of waters and weather. 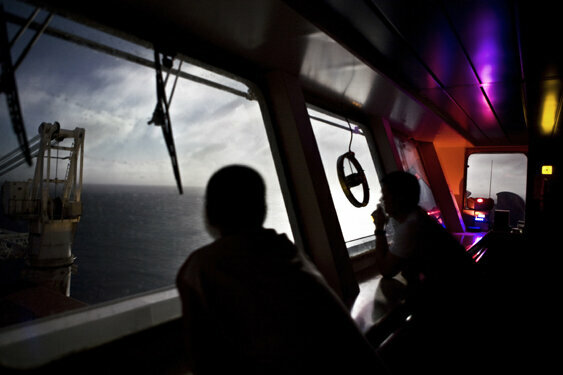 One of the natural factors about which every navigator should be very careful while steering a ship is – the wind. 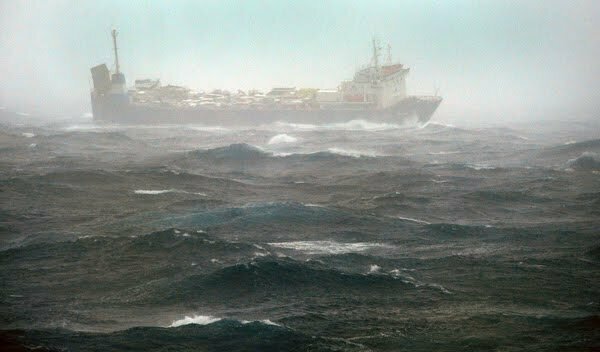 Vessels such as Container and Ro-Ro ships have large freeboard and are thus more affected by winds. This exposed area of the ship is also known as windage area as the effect of wind is more prominent over it. The wind effect on the same ship will be different at different places, depending upon the draught condition of the ship. A wind with force of 3-4 on the Beaufort scale will have similar effect in light condition as with wind force of 7-8 when the ship is down to her marks. When ship is at slow speeds during maneuvering or near to the coast, wind direction is easy to find; but this is not the case when out at high sea. The direction of the wind perceived when standing on deck is its relative direction. This is the resultant of the true direction of the wind and the course steered by the ship. It is very important for the ship’s navigator to steer the ship considering the wind effects so that ship can be steered efficiently without any difficulty. Following are the techniques a navigator must master related to wind effects. When the wind is blowing from the right astern, steering the ship becomes easy; however, in the case of head wind, the stern part of the ship has the tendency to pay off on either side. This is a difficult situation to tackle and getting the ship back on course is no piece of cake. Such effect is more often seen on ships where the accommodation area is at the aft region. Moreover, the wind in such case has no braking effect. Note: Given a choice between head wind & wind from right astern, the head wind is preferred for berthing. When the ship is underway with the wind flowing from abeam, the steering of the ship is not affected. However, depending on the strength of the wind, the ship drifts sideways due to leeway and this has to be accounted for while handling the ship. Here again in lighter conditions, the effect on the ship’s stem is larger and this tends the ship’s head to swing away from the wind (leeward). This requires the weather helm (helm on the side of the wind) to be steered continuously. When the wind is pushing the ship’s stern away to leeward, the stern tends to swing towards the leeward. The ship is therefore steered towards the wind and the ship is required to be given a lee helm. When the ship is going astern, it rarely goes at a great speed. When going astern most ships also tend to swing to the starboard. The effect of the wind is therefore a little more complex. In ballast condition where the wind catches the bow, which it often does, the stern is pulled into the wind. This effect is quite definite & rapid. Note – This effect must be remembered while maneuvering for anchoring, berthing etc. All ships turn around a pivoting point. This point is an imaginary reference and is fixed from observations of the ship turning around. It is known that when going astern the pivoting point moves aft. 2. As a device for making a tight turn.